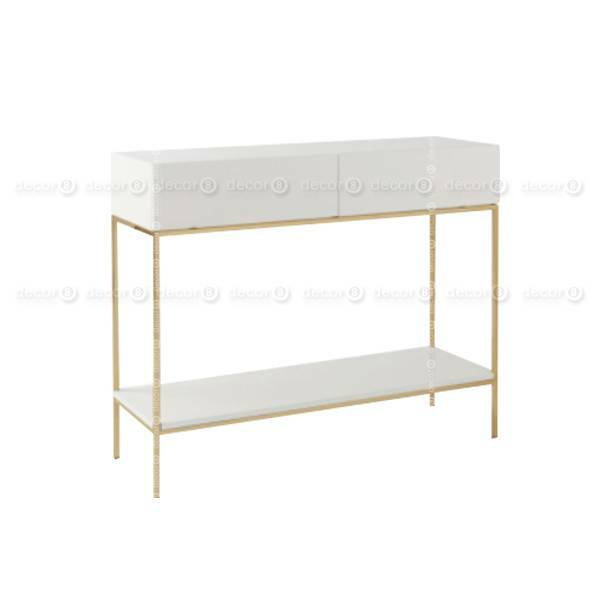 The Durand Brass Detail Console Table features a slender brass finished steel frame fitted with a solid-like minimalistic white table top surface. 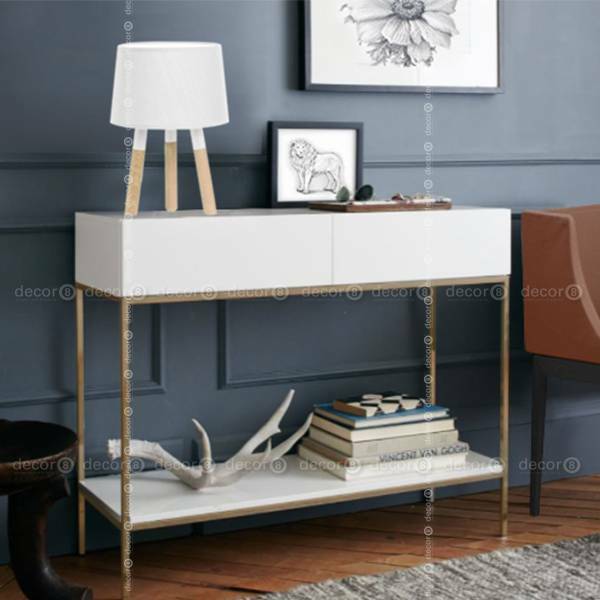 A modern staple for today's contemporary home, the Durand Brass Detail Console Table is an elegant console table that combines beauty with functionality. 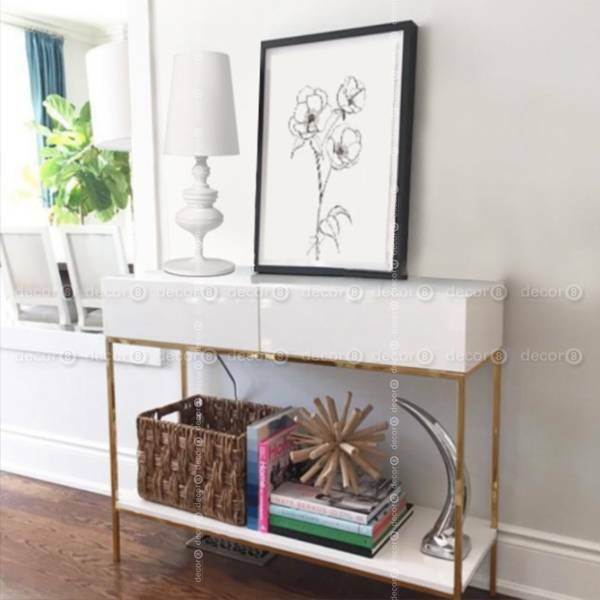 This slender console table features two discreet drawers which are perfect for storing away your home essentials. 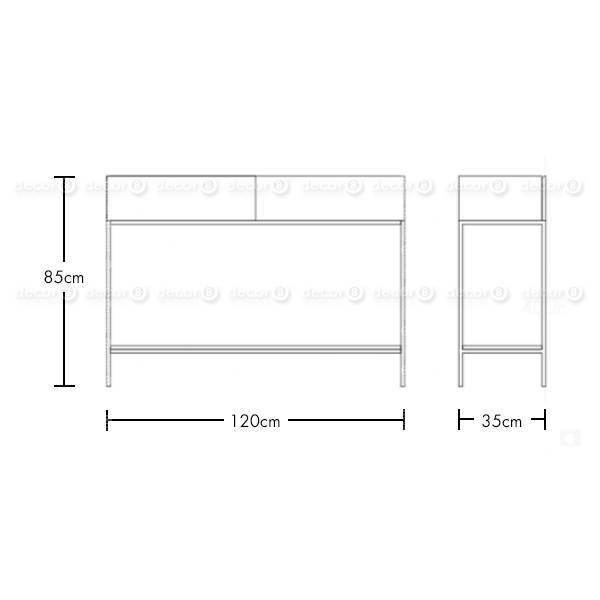 This item comes flat packed and requires assembly.